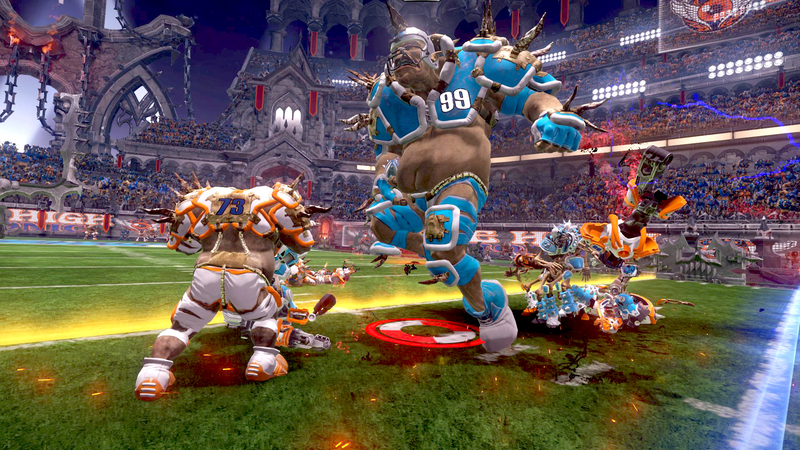 Mutant Football League: Dynasty Edition is available now in stores throughout North America, and for digital download on Nintendo Switch, PlayStation 4, Xbox One, and Steam for $29.99. The brutality, finality, and humor is what sets The MFL apart from all the other football games out there (and the fact that it's now on Switch!). Now with the Dynasty Edition there's a whole new set of features to go along with the Dirty Tricks, Killer Stadiums, and outrageous commentary by Tim Kitzrow! Football is Resurrected! Football is Fun Again!